Sec. 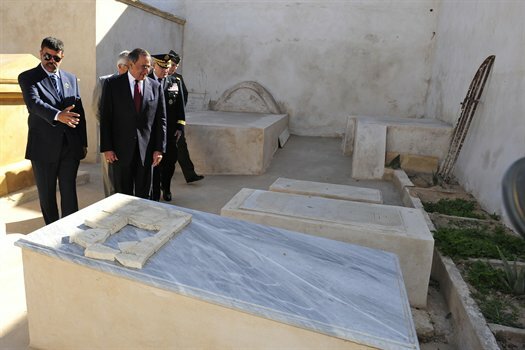 Defense Panetta visits the Old Protestant Cemetery in Tripoli (Dec. 2011, where the remains of Intrepid heroes rest. They were arguably the first SEALs. More than two centuries ago, they rode a “floating volcano” fire ship in a valiant try at blowing up the pirate fleet to save the honor of the new nation, free POWs and stop the payoffs that the Founding Fathers were making to slavers and hostage takers. The 13 sailors, including the uncle of the poet Henry Wadsworth Longfellow, were on a special ops night mission for the fledgling Navy of the young United States of America. All were killed when their sail-powered bomb named the Intrepid, crammed to the gunnels with powder kegs, exploded before reaching its targets in the harbor of Tripoli on Sept. 4, 1804. 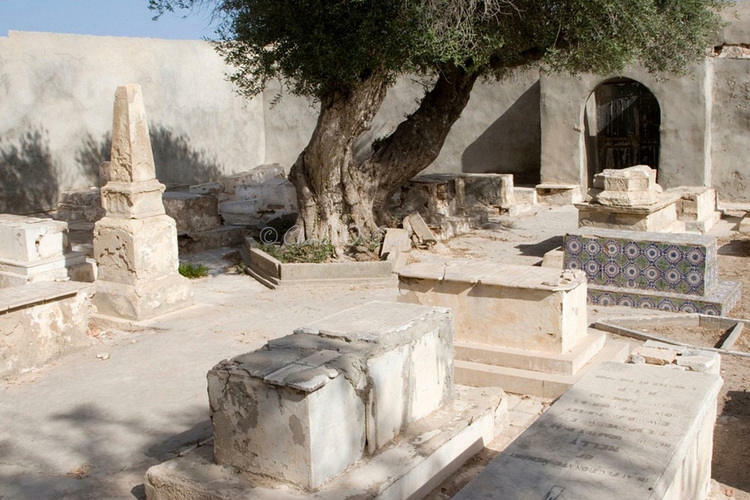 Through countless changes of regime in Libya ever since, the remains of the sailors have rested in what has become known as the Old Protestant Cemetery of Tripoli. Now there’s a dustup between descendants of the sailors, who want the remains repatriated, and the Navy, which argues against disturbing the graves. The descendants had been pressing for a Congressional resolution calling for repatriation but their efforts were sidetracked last month by an amendment to the National Defense Authorization Act directing the Navy and the Pentagon to study the issue and report back within 270 days. The study commission move was seen as a traditional Washington way of sweeping the issue under the rug in Somers Point, N.J., which is named for a relative of the leader of the Intrepid raid, Richard Somers. Master Commandant Richard Somers, Lt. Henry Wadsworth, the uncle of Longfellow, and the 11 other sailors fell in the First Barbary War that was fought in the administration of President Thomas Jefferson to win freedom of the seas and respect for the U.S. as a nation. It was also very much about the money. Since the 1780s, the corsairs sent out by the assorted pashas, deys, beys and bashaws of the Barbary States of Morocco, Tunis, Algiers and Tripoli had been preying on the merchant ships of the U.S. They captured the ships, enslaved the crews, held them for ransom and exacted tribute for future safe passage. Jefferson, as ambassador to France and later secretary of State, had argued for ignoring the problem. His position was that the future of the U.S. lay to the West in continental America, and not in getting mired in the intrigues of the Old World, but he was overruled by Presidents George Washington and John Adams. They made annual payoffs to the pirate states. One payment to Algiers was estimated at $1 million, a colossal sum at the time. Washington and Adams saw no other choice. There was no Navy. The Continental navy of the Revolution was disbanded after the war. Congress increasingly bridled at the payments and took up the cry “Millions for defense, not one cent for tribute. In 1798, the Department of the Navy was formed and Congress authorized the building of six frigates to take on the Barbary States. In what was to become typical of Congress in such matters, the pork for the building of the six ships was parceled out to six states. In 1804, Jefferson, now a hawk, sent the frigates under the command of Commodore Edward Preble to blockade and bombard the port of Tripoli. It didn’t begin well. The USS Philadelphia ran aground in the harbor while in pursuit of an enemy ship and the crew was captured. The pirates set up the Philadelphia as a stationary gun battery. Preble came up with a made-for-Hollywood plan that relied on the daring of the swashbuckling Lt. Stephen Decatur, and would ultimately give the infant Navy the esteem it craved. With 80 volunteers, Decatur took a captured Turkish ketch, re-named the Intrepid, and sailed into the harbor flying British colors with his crew dressed as Arab seamen. Their goal was to destroy the Philadelphia. The surprise attack worked. The Interpid pulled alongside the Philadelphia, Decatur shouted “Board” and his crew went hand-over-hand to the main deck where they killed the defenders. In one last bit of daring, Decatur sent his crew back aboard the Intrepid while he set fire to the Philadelphia. The guns of the frigate overheated and began discharging in the fires as Decatur waited for the Intrepid to sail slowly past again. He leapt into the rigging of the Intrepid to escape. Word of Decatur’s exploits quickly spread and British Lord Horatio Nelson called it “the most bold and daring act of the age.” But the pirate fleet was still in the harbor and Preble came up with another plan of attack that again relied on the Intrepid. Somers, Wadsworth and their crew packed the ketch with explosives and again sailed into the harbor intending to light fuses next to the enemy ships but the Interpid blew up before reaching the targets, either from fire from the enemy or a premature explosion. The bodies of the Intrepid sailors were dragged through the streets of Tripoli and captured Americans were later forced to recover and bury them. The oldest military monument in the U.S., the Tripoli Monument, was commissioned to honor the heroes of from the age of sail. The monument was at the Washington Navy Yard until 1831 when it was moved to the west lawn of the Capitol. In 1860, the monument was moved again to its current site at the U.S. Naval Academy in Annapolis, Md. Its site is near Preble Hall, named for the commander of the men who gave their lives in America’s first foreign conflict. 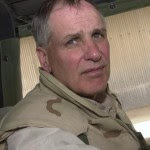 I launched The War Report in June 2010 as a way to help bridge the American military-civilian divide and to provide independent, non-partisan coverage of the wars in Iraq and Afghanistan – two things that are really lacking in the media, even after a decade of war. If you’re looking for “an angle” or “a slant,” you won’t find it here, except in the form of other opinions and views. Our goal is to bring you a range of news about U.S. troops in combat and let it speak for itself so our readers can form their own informed opinions and views. Journalism has become more about noise, than news. The War Report supports the ever-changing landscape of media, but it also aims to stay true to the lasting tenets of good reporting. If you support this kind of journalism – then please support The War Report. A small (or big) donation through PayPal will help us bring you news from the front lines and here at home. If you’re new to The War Report, take a look here to learn more about us. And if you’ve been around since our launch last year – thank you for your continued support. Stephanie Gaskell is the founder and editor of The War Report. 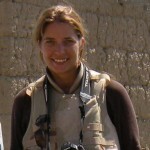 Gaskell is a New York City-based journalist who has spent the past 15 years working as a reporter for several major news outlets, including the Associated Press, the New York Postand the New York Daily News, where she also wrote and edited the War Zone blog. She has reported from the World Trade Center attacks in lower Manhattan, the wars in Iraq and Afghanistan and Guantanamo Bay Naval Base in Cuba. She’s also written extensively about veterans and military families. You can reach her at stephanie@thewarreportonline.com. Richard Sisk is the Washington, D.C.-based reporter for The War Report. He comes to The War Report after 40 years of local, national, and international reporting and editing at the New York Daily News and United Press International. His foreign assignments have ranged from Vietnam and the Mideast to Bosnia and Kosovo, Northern Ireland, Central America and the Caribbean. He has covered five presidential campaigns. Sisk served in Vietnam as a 2nd Lieutenant with the 2nd Battalion, Fourth Marines, in 1967-68. You can reach him at rich@thewarreportonline.com. How did the Navy discover the INTREPID graves? – A 100 year old Jewish fortune teller told them. One reason the Navy does not want to repatriate the remains of the INTREPID sailors from Tripoli is because they’re not sure the graves at the Old Protestant Cemetery are actually those of the men of the INTREPID, and they don’t really want to know the truth. 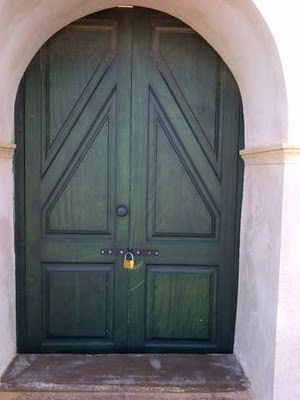 Although the definitive evidence could be easily ascertained by opening the crypts, identifying their contents, and repatriate them if they are determined to be the men of the INTREPID, Richardson espouses the military’s position that it is best not to know, just pretend they are, and leave them where they lie. Instead of just opening the crypts and seeing what’s in them, which we will eventually get around doing, let’s look at the historical records and extant “anecdotal evidence,” that makes it appear that the marked graves at the Old Protestant Cemetery are those of the men of the INTREPID. In the April 1950 edition of the U.S. Naval Institute Proceedings, Lieutenant (J.G.) Arthur P. Miller, Jr. USNR wrote an article “TRIPOLI GRAVES DISCOVERED,” and again in September, 1956 the same journal published a second article “Lost But Not Forgotten - Resting Place of Heroes of the Barbary Wars,” by Arthur M. Johnson and Mustapha Burchis. In the first article Lt. Miller got some of his facts wrong (ie. referring to “William” rather than Richard Somers), so in the second article Johnson relied primarily on the first hand account of Burchis himself, as translated by Shafic Ibrahim, a Lebanese teacher of English. First the Miller account. A few years after Miller’s article the USNI Proceedings published the more detailed account by Arthur M. Johnson that includes the first hand report by Mustapha Burchis. The “English cemetery” is what became known as the “Old Protestant Cemetery,” where the INTREPID graves are located. Burchis then wrote a report that was forwarded to the American Embassy in Rome and lost in the turmoil of World War II. After the war Burchis approached the new American consul to Libya, Mr. Taft, who agreed with Burchis’ analysis and proclaimed the five graves at the Old Protestant Cemetery as being those of the men of the INTREPID. Still not explained by Burchis and Taft, or Miller and Johnson, is how the men of the INTREPID, originally buried in the ground in two mass graves, one for the officers and one for the enlisted men, graves “one cable’s length” (200 yards) from the castle walls, ended up in five above ground crypts within the grounds of a walled cemetery over a mile away? Although Burchis worked for the Italians, he fails to mention the fact that less than a decade before he began his quest, in 1930, an Italian army road work crew reportedly unearth the remains of five men who were identified as being Americans from the INTREPID and they were reburied in the cemetery. So there are at least two separate grave sites of the men of the USS INTREPID, the original mass graves site south and east of the walls of the old castle fort, now under what is known as Martyrs Square, which the Italian road crew partially excavated, and those five or six crypts in the corner of the Old Protestant Cemetery, about a mile away. And even though Mustapha Burchis’ local sources were hearsay, and didn’t mention the Italians relocating some of the remains, it appears that he was correct, and that the graves at Old Protestant Cemetery do indeed contain the remains of American sailors, most likely those of the crew of the INTREPID. The cemetery crypts are clearly marked, and the original grave site should be located, and instead of conducting a nine month long academic study of the situation, the DOD and the Navy should just open the cemetery crypts, determine whether they were placed there in 1804 or 1930, see what’s in them, have a forensic study of the remains, take DNA samples to see if they can be positively identified. If they are the remains of the American sailors from the INTREPID, as the research indicates and the historical markers claim, then they should be returned home and properly buried with full military honors. 4) Miller, Lieutenant (J.G.) Arthur P., Jr., USNR U.S. Naval Institute Proceedings, TRIPOLI GRAVES DISCOVERED Proceedings, April, 1950, pp. 373-377. 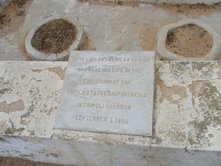 5) Burchis, Mustapha, and Johnson, Arthur M., Lost But Not Forgotten – Final Resting Place of Heroes of the Barbary Wars (Proceedings, U.S. Naval Institute, Annapolis, Sept. 1956, 969-973).Translation of Mr. Burchis’ narrative from the Arabic by Shafic Ibrahim. 9) Intrepidproject.org, Final Burial Place of First USS Intrepid Crew, A Source Stud, November 28, 2011, citing Abdu Hakim AlY Tawil, Secrets of the Old Protestant Cemetery (Tripoli, Libya: Libyan Center for Historical Studies, 2008), pp. 71-76. (pp. 122-136). (Translation by Prof. Hezi Brosh, United States Naval Academy). LTC Robert “Kyle” "Carnahan hopes that the cemetery will one day become a tourist location in Tripoli for Americans wishing to pay their respects, and a place where they can learn more about the United States’ first military conflict abroad." (U) Shortly after Carnahan arrived as the new defense attaché, Mehan showed him the site. 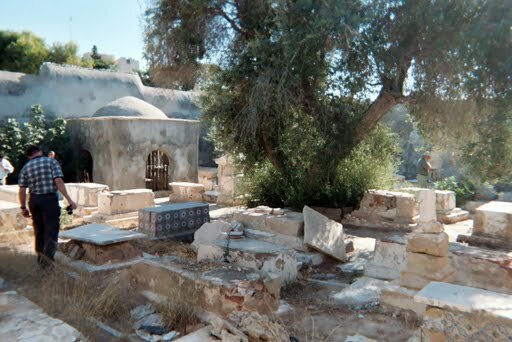 Carnahan promptly arranged to meet with the Libyan chairman of the Department of Archaeology Dr. Giuma Anag and hoped to obtain permission to clean the site and gain official control of the cemetery for the U.S. government. Anag confirmed that five graves contained the remains of five to nine American sailors who had washed ashore following the premature explosion of the USS Intrepid in theTripoli harbor during the First Barbary War in 1804. (U) A U.S. Naval Forces Europe delegation plans to conduct a survey of the cemetery and discuss with Anag how best to preserve the site. 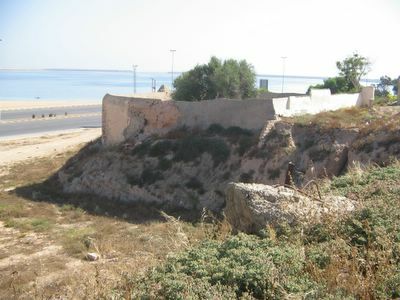 One wall is slowly crumbling from erosion despite the efforts of the U.S. Defense Attache Office. 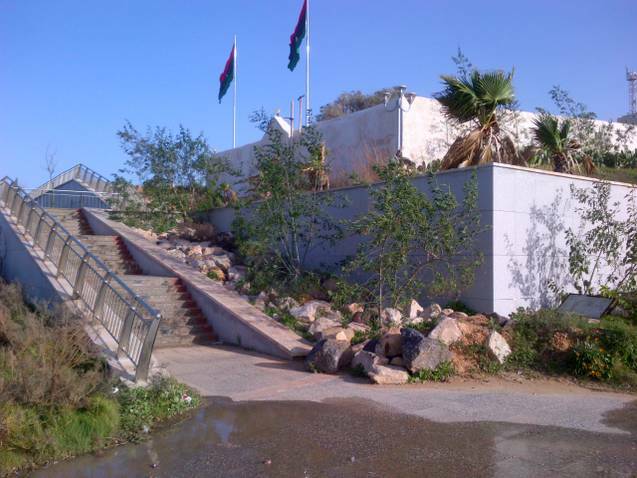 Carnahan hopes that the cemetery will one day become a tourist location in Tripoli for Americans wishing to pay their respects, and a place where they can learn more about the United States’ first military conflict abroad. 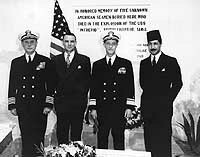 Rather than just conduct a normal POWMP expedition to Tripoli, identify the remains of the men of the Intrepid and repatriate them home, as they do with hundreds of American military personnel every year, the Senate-House Joint Armed Services Conference Committee instead ordered another study of the matter. Not only do they postpone the repatriation of these men for another nine months, they order the Secretary of Defense and the Navy to conduct the evaluation after they have already expressed their reluctance to do so, guaranteeing that this will not be an independent and honest report. 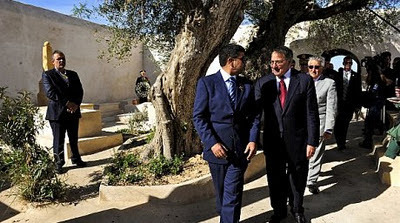 Secretary of Defense Leon Panetta has already been to the Intrepid graves at the Old Protestant Cemetery and personally discussed the situation there with the Libyans, who say that they already have plans for the preservation of the cemetery graves and the conduct of regular formal ceremonies on future occasions, as well as develop it into a tourist destination. That the military has no plans or intention to repatriate these men is clearly stated in a September, 2008 report which says, "A U.S. 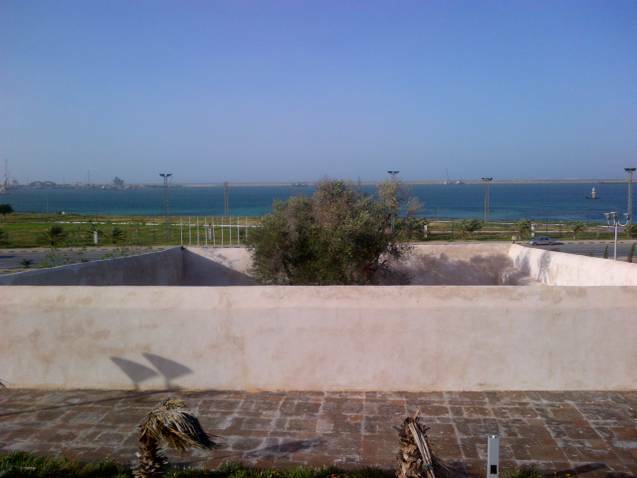 Naval Forces Europe delegation plans to conduct a survey of the cemetery and discuss with (then Libyan Dir. of Antiquities Dr.) Anag how best to preserve the site...(in)... hopes that the cemetery will one day become a tourist location in Tripoli for Americans wishing to pay their respects, and a place where they can learn more about the United States’ first military conflict abroad." If this is the case, then the key person responsible for the evaluation and report - the Secretary of Defense, has already made up his mind and has developed plans for the preservation of the graves, using it as a tourist attraction, and is not considering the feasibility of the repatriation of the remains of these men. The end result, at least in regards to the cemetery remains, appears to have been already predetermined and their report will be an official whitewash. 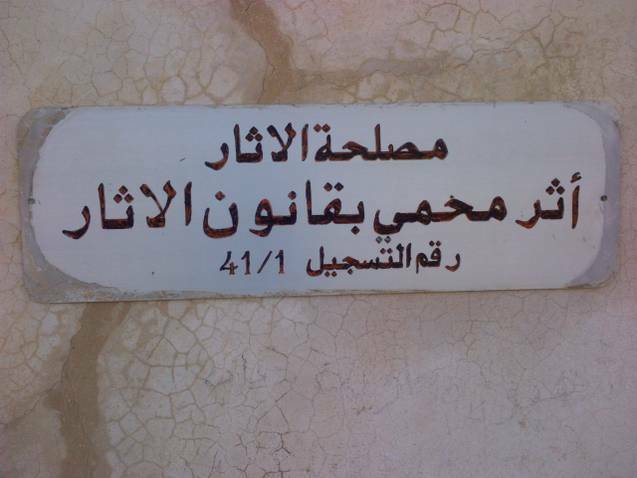 That the military itself, after already determining the Tripoli cemetery "is the final resting place" for those men, is made responsible for the evaluation, research and writing of the report reflects on what can be expected to be the final recomendation, and that's the same as all of the other official military reports and recomendations, not to repatriate these remains. These issues are already well known, as the historical information has been well documented, as are the factual considerations, costs for repatriation ($100,000) and precedential effect (negligible, with few other case studies). The cost of this new study will probably be as much as it would take to just identify and repatriate these men. The other issues are also known, before the evaluation even begins, including “ii, The ability to make identifications of the remains...and facts that would have to exist for positive scientific identification of the remains,” since the forensic sciences have evolved to create a high probably of identification of the remains of the American crew of the Intrepid from any other remains in the area, and a positive identification of the three officers through DNA analysis of the bones. This analysis of the remains in the cemetery crypts should be made a part of the evaluation and the results can be included in the final report. As demonstrated by the positive identification of the remains of the men of the Civil War era submarine Hunley, modern forensic science techniques make it possible to identify such remains even though they are over a century old. This is also not foreseen to be a problem since the previous government had already agreed to allow the excavation and repatriation. While the new government has yet to be installed, the current interim government caretakers have are apparently open to whatever the United States government wants, and have followed their requests in regards to the restoration of the cemetery. 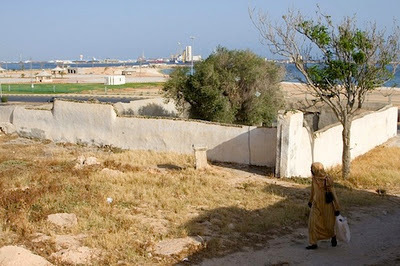 The only problem it seems, is the reluctance of the Department of Defense and the US Navy to undertake the repatriation, and to make them responsible for the conduct of the new evaluation will only result in another determination that the final resting place for the men of the Intrepid is right where they are in Tripoli. They should just conduct a normal forensic study of the remains in the marked crypts at Old Protestant Cemetery, locate the original grave site under Martyrs Square, excavate it and repatriate the remains home. Pirates were marauding American merchant ships off Africa, holding the passengers and crews for ransom and demanding millions of dollars in tribute. Sound familiar? Well that was the situation two centuries ago when some reluctant Congressman suggested the ransom and tribute be paid and others said that a navy should be formed to fight the pirates. As the American public took up the cry “Millions for defense but not a cent for tribute,” Congress approved the funds for a new Navy. Now, after two centuries of trying, the families of the Intrepid’s commander and first officer believe the recent revolution in Libya presents an opportunity to repatriate their remains home, but there’s fierce opposition from the U.S. Navy. Deployed behind the lines, boots on the ground in Tripoli, the men of the USS Intrepid are near the epicenter of the Libyan revolution, and even though they’ve been dead for over two hundred years the Navy maintains they are still fulfilling a vital service. The Navy says these men are still needed, that they are in a strategic position, and their mere presence gives the Untied States a foothold in the new Libya, a beach head that provides insight into the new Libya and a humanitarian, non-threatening excuse to deal with the new government. It also gives us an opportunity to reflect on what’s occurred in the history of United States and Libyan relations over the course of the past two centuries and how we can forge a new path of peace and prosperity together. 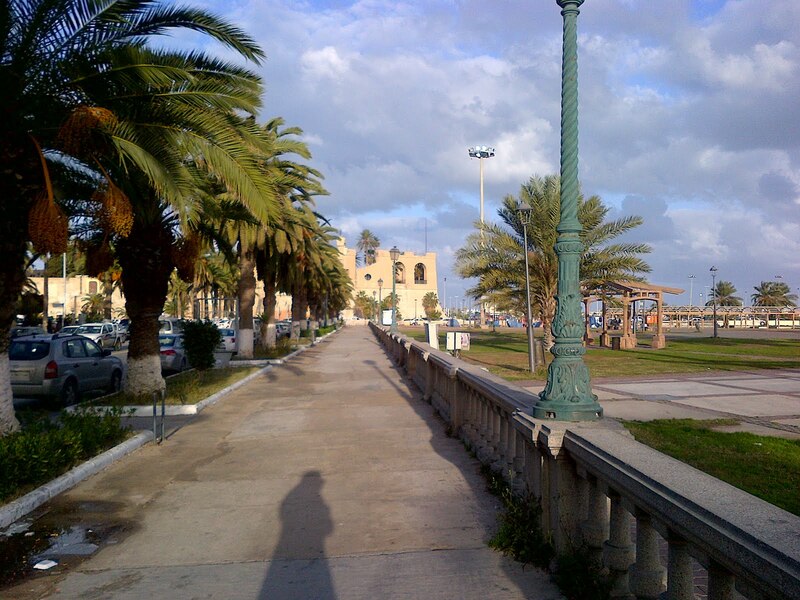 When the rebel forces liberated Tripoli they gathered at what Gadhafi called Green Square which they renamed Martyrs Square in honor of those who died in the fighting, not just against Gadhafi but against the Italian occupation and other wars. Some see irony in that the only real martyrs buried near Martyrs Square are American naval heroes who have been there for over two centuries. The POW/MP office responsible for the return of American military casualties from abroad say it is the oldest case on record, but since they aren’t actually missing, as their location is known, they’re not MIA - Missing in Action, and a Navy responsibility. Richard Somers’ extended family, originally from Somers Point, New Jersey, have always requested and expected his remains to eventually be brought home, and they haven’t forgotten about him, although they sometimes think that US government and the Navy have. The early efforts of the family have been enjoined over the years by citizens and officials from Somers Point, the town’s historical society and veterans groups, as well as the extended family of Somers’ first officer Henry Wadsworth, the uncle of poet Henry Wadsworth Longfellow. The New Jersey legislature and the United States House of Representatives have officially called for the repatriation of the remains of these men, and the US Senate considered the matter as an amendment to the Defense Authorization Act, but instead elected to have another study and report done on the feasibility of repatriation. The only opposition to repatriation comes from the Navy’s top brass, the commanders who say that the mission of the men of the Intrepid is not yet over, and based on their studies and reports, they made the official determination that the final resting place for those men is right where they are. 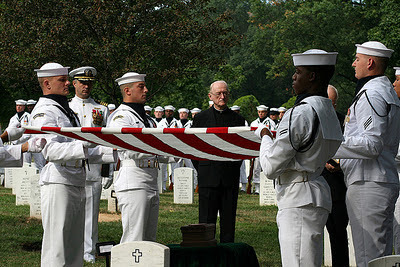 In March, 2010, Admiral Gary Roughead, Chief of Naval Operations, wrote, “Since these remains are associated with the loss of the INTREPID, Tripoli’s Protestant Cemetery has been officially recognized by the Department of the Navy as the final resting place for her crew. My staff is working with the Department of State and the American Embassy in Libya to ascertain the condition of the graves and what actions can be taken towards their long term care.” His replacement, Admiral Greenert has adopted that policy. Old Protestant Cemetery was officially created in 1830 around some already existing graves, some believe to be those of American sailors. It also includes the graves of about a hundred others, mainly European diplomats and their families, many of whom have been repatriated to their home countries or elsewhere as the cemetery did not seem to be a secure place. Reports indicate that around 1930, during the Italian occupation of Libya, a road work crew uncovered the remains of five men of the Intrepid and reburied them at the cemetery. These graves are clearly marked, and the cemetery is now secure, but the Admiral’s determination that it is the final resting place for these men only refers to the cemetery graves and does not include the original grave site outside the castle walls at Martyrs Square, where some historians believe the remains of other members of the Intrepid crew are still buried in an unmarked mass grave. 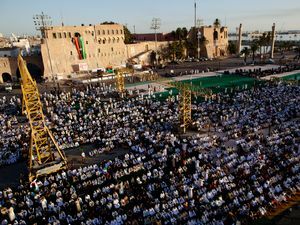 Marty’s Square is the Times Square of Libya, where people gather to celebrate and protest, and is from the ramparts of the old castle fort where great battles were fought, and from where Benito Mussolini and Mummar Gadaffi gave speeches. And there they remained, in the shadow of the walls of the old castle fort, until the Italian work crew uncovered five of them and reburied them at the Old Protestant Cemetery. Since they were buried in two distinct graves, one for the three officers and the other for the ten seamen, the five remains uncovered by the Italians must have been from the lot of 10 seamen, leaving five seamen in their original grave, and the three officers still buried in their original grave. There have been many efforts to repatriate the remains of these men over the years, all unsuccessful because of some political reason or other, but today, the opposition comes only from the US Navy. The Navy’s reasons not to repatriate these men are many, and include cost – estimated to be $100,000, a drop in the bucket of the $600 billion National Defense Act. They are also afraid that this repatriation will set a precedent for many other similar requests, but Chris Dickon, author of the book Foreign Burial of American War Dead (MacFarland, 2011) says there are only a few other cases and none of the families are requesting repatriation, as the Somers and Wadsworth families are. 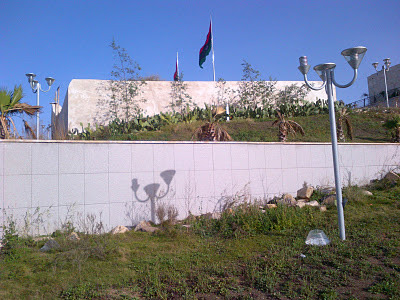 Although it isn’t explained in the CNO’s official determination regarding the cemetery graves, the upkeep of the cemetery site provides for close cooperation between the Libyans and the US embassy personnel and the Navy, giving them a non-threatening issue to discuss and begin a cooperation that could lead to other joint projects. While this worked with the Gadhafi government as well, it will become paramount to encourage the early and close cooperation between the US officials and the new government of Libya. Old Protestant Cemetery after restoration. But the Tripoli cemetery, unlike the American military cemeteries at Flanders and Normandy, is not under the care of the American Battle Monuments Commission or the United States government. 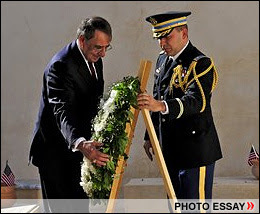 This new cooperation between the United State and Libya has been exhibited in the renovation of the cemetery by the Libyans and the recent visit to Tripoli by the Secretary of Defense Leon Panetta, who stopped by the cemetery to pay his respects at the graves of the men of the Intrepid. Eventually however, the relationship between the United States and the new government of Libya will be sealed, and the mission of the men of the Intrepid will be over. While the historic markers at the cemetery can serve as a tourist attraction, and a place for future Memorial Day ceremonies, the wishes of the families should be honored and the remains of the men of the Intrepid should eventually be returned home. Just as John Paul Jones was repatriated home from his Paris grave and the convicted Lockerbe bomber received a hero’s homecoming in Tripoli, the men of the Intrepid should eventually be repatriated to their native land, welcomed home by their families and friends and given a proper burial with full military honors. 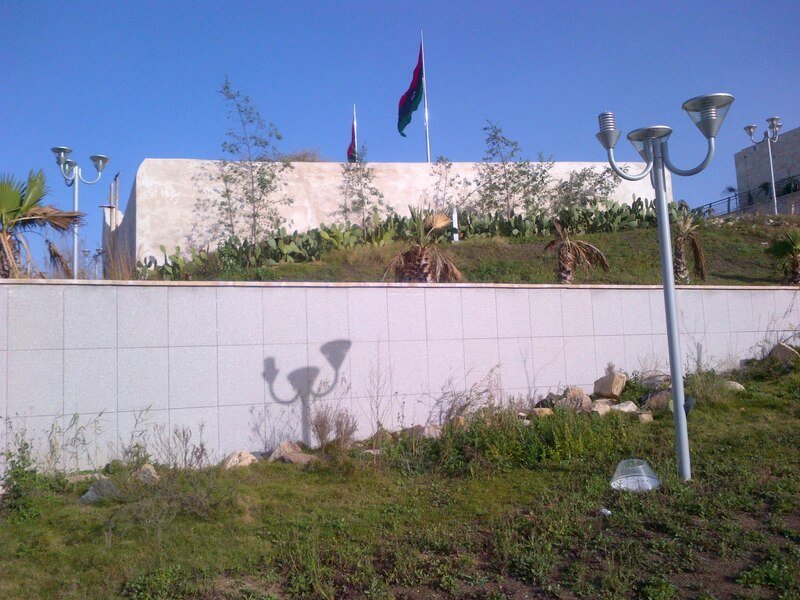 New free Libyan Flags fly above Tripoli's Old Protestant Cemetery where the graves of American Naval Heroes are located. The Old Protestant Cemetery before the recent restoration. It is located just across the road from Tripoli Harbor, about two miles east of the old castle fort and Martyrs Square. The walls were built by the British in 1830 around some preexisting graves believed to be American navy sailors killed in 1804. 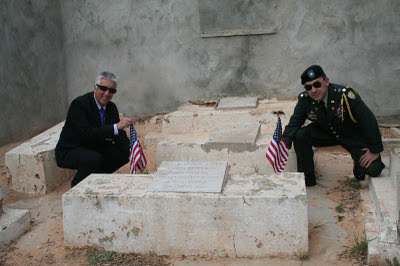 United States Ambassador Mr. Gene Cretz and US Military Attache Brian Linvill place American flags at the graves of American naval heroes at Old Protestant Cemetery on recent Memorial Day. From 1950 until 1969 the cemetery was maintained by the Officers Wives Club of nearby Wheelus Air Force base. 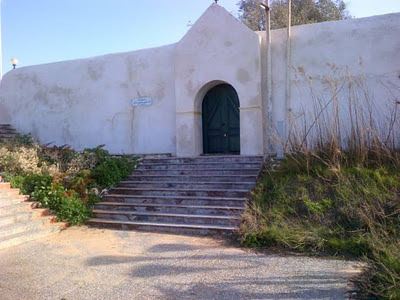 Neglected under the Gadhafi regime, it fell into disrepair and was overgrown with weeds when discovered by two New Jersey tourists in 1977. Their reports led to an earlier effort to repatriate the remains of the Intrepid crew. Inside the cemetery shortly before or during the restoration. 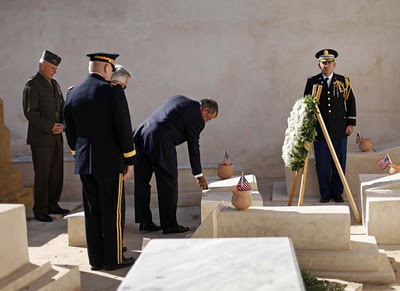 US Secretary of Defense visits the cemetery after it was restored. Sec. Defense Penetta places Challenge Coin on the grave of Intrepid crewman. Soon after his election as commander of America’s most inclusive major veterans service organization, AMVETS National Commander Gary L. Fry met with town leaders in Somers Point, N.J., and learned of the ongoing efforts to repatriate the town’s namesake, Master Commandant Richard Somers, and his 12 fellow sailors lost in 1804 during the First Barbary War. The 13 men of the USS Intrepid, commandos and precursors to the modern Navy SEALs, were killed during a daring attempt to destroy the fleet in Tripoli Harbor. The following day, the remains of Somers and his crew were buried in four or five mass graves, which the Somers Point Historical Society has long maintained is an inappropriate final resting place for the Navy’s first combat casualties. U.S. Congressmen Frank LoBiondo, R-N.J., and Mike Rogers, R-Michigan, agreed, and pushed for an inclusion in the National Defense Authorization Act of 2012 (NDAA) of a provision requiring the Department of Defense to repatriate the Sailors’ remains with stipulations. However, at the eleventh hour, Sen. John McCain changed the final language of the legislation in favor of a continuing review of the issue. Fry also echoed the belief of the Somers Point Historical Society and the Intrepid Project, which has spearheaded the repatriation effort, that the recent political upheaval in Libya has created a window of opportunity, albeit a rapidly closing one, to recover the remains of the USS Intrepid Sailors. A leader since 1944 in preserving the freedoms secured by America’s armed forces, AMVETS provides support for veterans and the active military in procuring their earned entitlements, as well as community service and legislative reform that enhances the quality of life for this nation’s citizens and veterans alike. 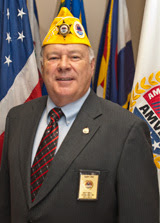 AMVETS is one of the largest congressionally-chartered veteran’s service organizations in the United States, and includes members from each branch of the military including the National Guard and Reserves. For more information, visit www.amvets.org. Information about the Healing Heroes program can be found atwww.amvetsnsf.org/heroes.html. Commander Gary Fry will observe the 70th anniversary of the "day that will live in infamy" in Pearl Harbor, Hawaii. The following are his remarks. It is a privilege to be here today to honor the men and women who fought and gave their lives during the attack on Pearl Harbor. Forever entrenched in our minds as “a day that will live in infamy,” the United States was attacked, and the strength of our nation was tested seventy years ago today. The sky over Oahu was clear and blue that Sunday morning and America awoke in peace. But at 7:55 a.m., this tranquil scene was shattered as Japanese aircraft bombarded the Naval outpost of a dormant Pacific Fleet. Targeting the battleships moored in Pearl Harbor, the enemy planes struck hard and fast. They bombed the Navy air bases at Ford Island and Kaneohe Bay, the Marine airfield at Ewa and the Army Air Corps fields at Bellows, Wheeler and Hickam. The attack was over in less than two hours, but the devastation was overwhelming. Twenty-one of more than ninety ships in the U.S. Pacific Fleet were damaged or sunk. More than three hundred aircraft were hit or destroyed. But most overwhelming of all was the loss of more than 2,400 lives and the injuries inflicted on 1,200 others. The sinking of the battleship USS Arizona remains the most recognized symbol of that tragic day. Today, more than 1,100 men are still entombed within her rusting hulk. As an organization born of World War II, AMVETS has made it a point to honor those heroic individuals for their sacrifice. Our efforts to raise the necessary funds to complete the USS Arizona memorial and, later, the wall bearing the names of those aboard who died, testifies to this ongoing commitment. And while much of the world has yet to fully realize the peace and freedom for which these men gave their lives, we remain determined that they shall not have died in vain. The Japanese struck a savage and treacherous blow at our peace-loving nation on December 7, 1941. The attack triggered a global war of unprecedented proportions and forever changed the course of world history. Our enemies were unaware at the time that their attempts to weaken us brought them only short-term success. Responding to the attack, Americans joined together in an all-out effort to win the war, which we thankfully have not had to repeat since. It was this unbreakable unity, sacrifice, and national resolve that ultimately became our most effective weapons. Today not only marks the 70th anniversary of the Japanese attack on Pearl Harbor, but also an unhappy yet inevitable milestone for the veterans’ community. Today, the Pearl Harbor Survivors Association will observe this day in history for the final time as an official organization. Congressionally chartered in 1958 with more than 18,000 members, the Pearl Harbor Survivors Association now numbers less than 3,000, and most members are in their 90’s. Because of dwindling numbers, the Association has announced it will be forced to forever close its doors at the end of the month. This serves to remind us all of the fleeting opportunity we have to, honor, celebrate, engage, and learn from this vanishing generation of heroes, our greatest generation. They are national treasures all, and we must make every effort to appreciate these heroes among us. Finally, I ask you to keep our servicemen and women in your thoughts and prayers throughout this holiday season and beyond. With the wars in Iraq and Afghanistan coming to a close, it is our duty – not as AMVETS, veterans, or veterans’ advocates – but as Americans, to ensure we provide for the needs of our newest generation of returning war fighters. We must give them every opportunity to pursue their goals and dreams: to further their education, to find meaningful and lasting civilian employment, to receive the care and treatment they need for service-connected injuries and disabilities, and to provide for their own families once they return home. This is our charge, and we will not fail them. With our nation and her allies challenged by those who wish to do us harm and threaten our very way of life, it is our responsibility to uphold the principles upon which America was founded. We can do our part by supporting those who are being called upon to defend these principles, carrying forth the legacy of heroism demonstrated at Pearl Harbor. As Americans, we are able to choose freedom because of the bravery of those who made the ultimate sacrifice on this day 70 years ago. We are proud to honor them. May we never forget their noble sacrifices for generations of Americans who followed. Thank you, and may God bless America. Many thanks to Nuri Twebti for providing us with these photos.